Barnes & Noble's NookColor e-reader is in short supply. 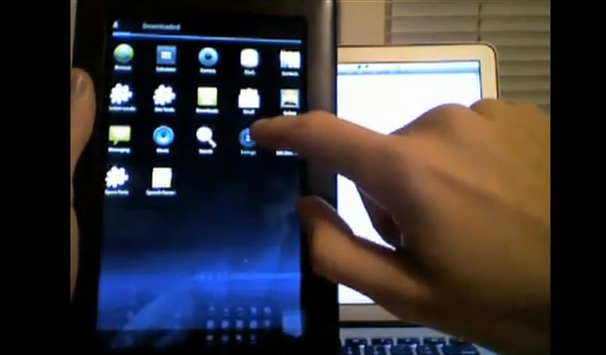 The reason it has been flying off the shelves, however, may have less to do with its performance as a device for reading electronic books than its ability to be hacked into a full function tablet computer running Android. B&N has stopped shipping the NookColor for at least two weeks for "inventory" reasons and, in the meantime, supplies have dried up in the retail channel, the Good eReader website reported yesterday. It noted that at retail giants like Best Buy and Wal-mart the e-reader is "out of stock" and at the B&N home site, it's listed as "back ordered." One reason for B&N putting the brakes on NookColor shipments is because wants to update the version of Android operating in the device. Another more colorful reason, though, is that the company wants to see if it can thwart recent hacker attempts to turn the e-reader into an Android tablet running Honeycomb. Such a hack has been posted at the XDA-Developers forum by a cyber tinker with the handle @deeper-blue. In the latest hack, deeper-blue has Honeycomb's graphic acceleration, accelerometer, wireless connectivity, touchscreen, buttons, sound and sleep and wakeup features working. Digital Signal Processing features, like video hardware decoding, aren't working yet. "Use this on your own risk!" deeper-blue warns. "I'm not responsible for any damages." The hacker should have added that performing the hack will also void the NookColor's warranty. If B&N has halted shipments of the NookColor to address the hacker issue, it's probably more worried about how being able to turn the e-reader into a full-fledged tablet will affect users' e-book buying habits. After all, the reason the NookColor is so reasonably priced at $249 is that B&N expects to offset the low margins on the hardware with e-book sales for the device.